I'm sure everyone is sick of seeing July 4th inspired blog posts by now. But if you're not, here is one more just for you. This past holiday was spent with the family at the carnival celebrations on our Army Post. For the occasion I decided to dress up as patriotic as possible without looking like a walking flag. I threw on a chunky gold chain along with some cognac details so that I could easily pass for looking nautical if I wanted to. I do love me a good nautical themed outfit. I think it's my second favorite look to the russian snow princess look that I adore to death. This polka dot vest I picked up on sale at Anthropologie at the start of the year. As soon as I saw it, I was intrigued. If you look closely, each polka dot is made up of tiny white beads. Those who regularly read my blog know how much I love classic pieces with a unique twist. Polka dots will never go out of style, and this top was just too pretty not to add to my collection. Haha, I've enjoyed seeing all the patriotic posts! These photos are wonderful and I love what you wore. The polka dotted vest is such a cool print mixing with the striped dress. I love seeing all the patriotic outfits. Yours definitely unlike anything else, love it! Red lips and nails with a navy and white outfit are a GREAT way to celebrate without going overboard! Well done! Your little girl's sandals are so adorable, too! ps following you back via bloglovin! I think that stripes and polka dots are quintessentially 4th of July worthy! You look great! WOW Jenee - AMAZING photos. Especially the one of you and your little one laid out on the blanket. Looks like good family fun! Love all the little details of your outfit too! Your pics are so great! I love, love your outfit. 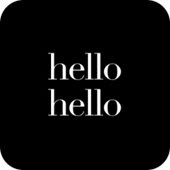 Thanks for stopping by my blog so I could find yours -- new follower! Love the nails, bracelet and dress! you are one beautiful mom! I thought they were your siblings (I have two little ones around their ages thats why lol) confused me! Following you now! Lets stay in touch Doll! What a lovely outfit, you're looking gorgeous!! I love your chunky gold bracelet - there is a similar Marc by Marc Jacobs watch that is very similar ( http://g-images.amazon.com/images/G/01/Shopbop/pcs/media/images/products/marcj/marcj2273311739/marcj2273311739_p4_v1_m56577569832009870_254x500.jpg ) it is really lovely in person and reminded me instantly of this bracelet you are wearing!! What a pretty top! I love the polka dots and how it's constructed by little beads! The photo of you laying on the grass looks great too! OMG you and the kids look lovely together! I love your outfit! ps. Thanks for the love on my blog. Wanna follow each other on GFC? Thanks a lot for soooo seet comment!! You are amazing!! You look great! Stylish moms it's so amazing!! I've always thought that there are no any excuses to forget about yourself even if you have a baby. I'm your follower and love all your sets!!! That pattern mixed dress is so cute! I love carnivals (especially for the food, haha). The one you went to looks like a lot of fun! So fun pics....& your outfit is adorable! i love your lip color and these pics are great! i also like that u feature your kids in your post! adorable <3 And yes shopping in Japan is awesome/exciting/expensive! lol Thanks for visiting my blog! I'm following you now! Love that outfit! Your pictures are wonderful. Looks like you all had a lovely 4th of July! Happy Friday! Love the outfit! You look beautiful! This looks like it was such a fun evening, and your outfit is super cute! Thanks so much for stopping by - I love finding other Aussies in the US and reading about their experiences. Hope you enjoyed Goorin - there's one right around the corner from me in NYC and I'm a little obsessed! Am following and look forward to reading more!